Not too long ago, baby and bridal showers were a somewhat simple event. Guests would snack on finger foods such as sandwiches, dips, and the occasional spoonful of mysterious ambrosia. Dessert was either a chocolate or vanilla cake with a congratulatory message written in icing across the top. The venue decor would consist of balloons, streamers, flowers, and the occasional umbrella or wishing well. And, inevitably, someone would make a hat out of ribbons and bows from unwrapped presents, place the hat on the Guest of Honor’s head, and snap a picture. Weddings had a similar sameness to them: the same flowers, colors, attire, decorations, music, food, and traditions. For a while—a very long while—showers and weddings felt dull. And then Pinterest happened. Thanks to the multitude of creative and talented Pinterest pinners, showers and weddings will never again be the trite or mediocre occasions that they once were. Pinterest is an invaluable resource for the expecting or engaged book lover because book-themed baby shower pins, bridal shower pins, and wedding pins are popping up all over users’ boards. 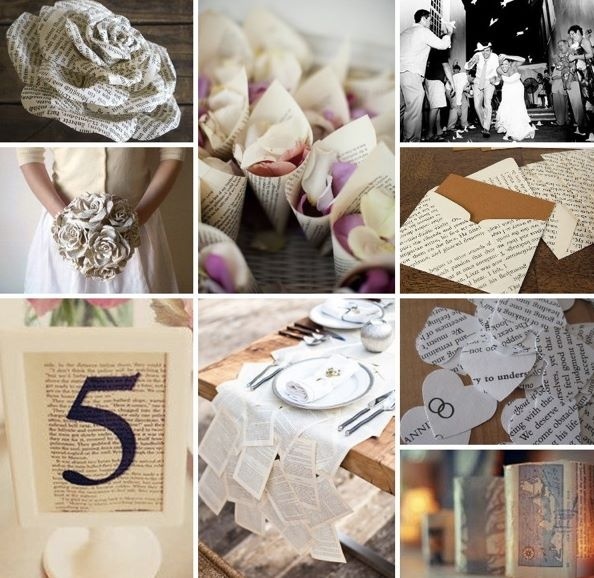 The following are Pinterest-inspired ideas on how to create your own book-themed shower or wedding. Every great shower or wedding begins with the invitation. 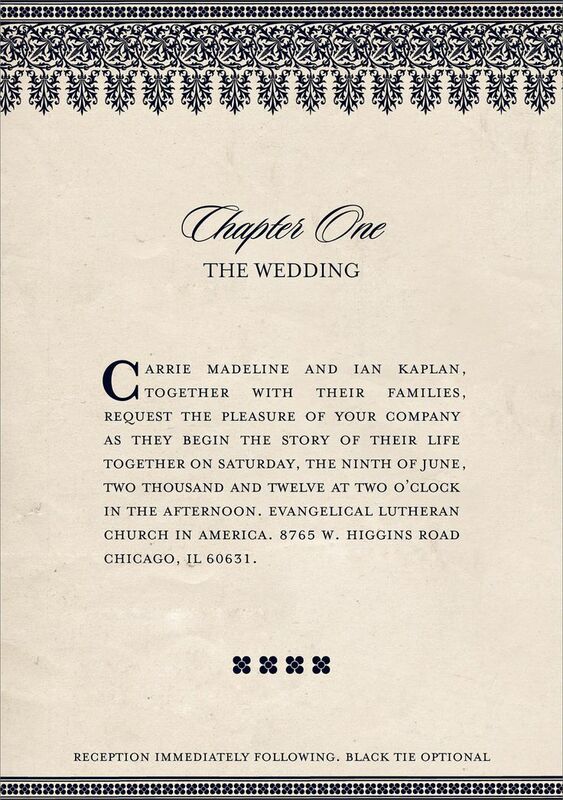 One idea is to order invitations that resemble the first page of a book. Not only is this unique, but it’s also symbolic. If you love the library and miss the old-school checkout cards, then these invitations will bring you and your guests back to the old days. This one is great too. Most shower and wedding guests would agree that food leaves a lasting impression. If the treats aren’t delectable, people will talk. To avoid criticism of what should be an enjoyable celebration, make sure you: a.) create or pick a menu with popular or well-executed food items, and b.) hire a professional cook to cater your event, or ask a friend or family member with proven cooking skills to help you in the kitchen. But what about the books? 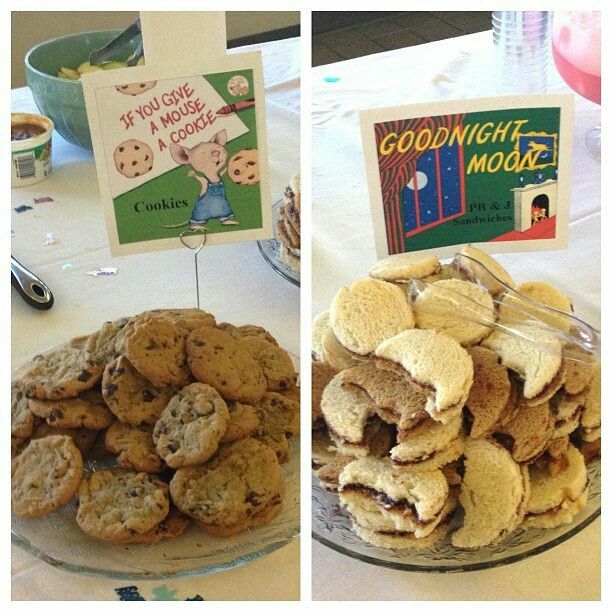 Pinterest surprisingly lacks bridal shower and wedding book-themed food pins, but baby shower book-themed food pins are all the rage. If you’re planning a baby shower, you can use nursery rhymes or picture books to inspire your menu. * The Stinky Cheese Man. * Madelines to the Rescue. 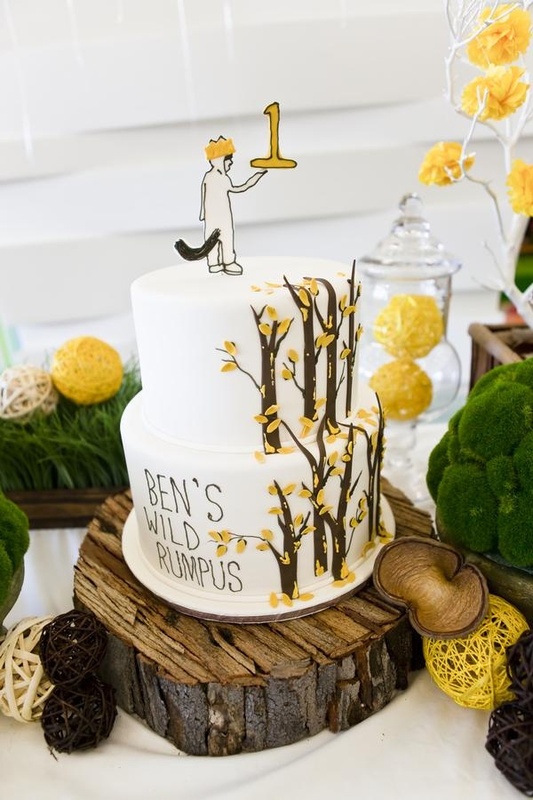 The book-themed cake serves two functions: it’s a delicious dessert, and an awe-inspiring decoration. If you don’t mind murdering a book or two, then you can create or order decorations made out of your favorite (or bargain bin) books. If you hate the idea of taking scissors to your favorite novel, you can create fake books and use them as garland. Or frame signs and storybook pictures to hang around the venue. 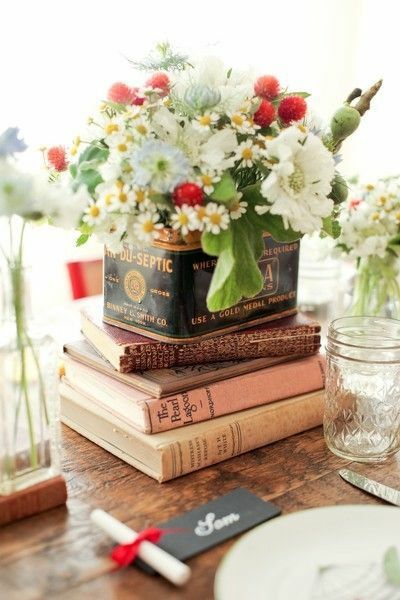 Some people use stacked books as elegant (and economical) center pieces. 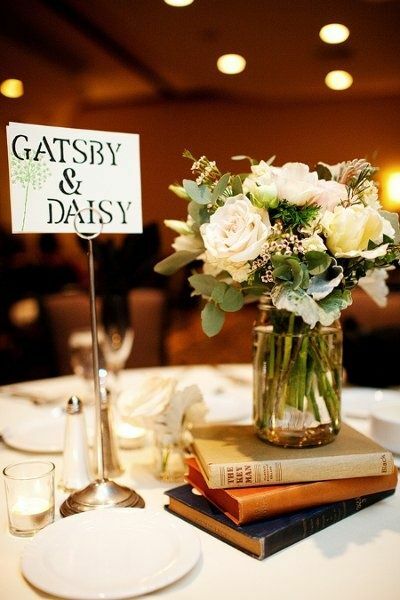 If you’re looking for more ways to get creative with a literary theme, replace table numbers with table character couples: or table novels. Are you planning on having a guestbook for people to sign at the shower or wedding? How about asking baby shower guests to help start a library for the little bun-in-the-oven? And, finally, the perfect party attire for baby.